Happy Friday lovelies!! I'm so glad its the weekend! How about you? This week went by pretty fast if you ask me. Granted it was the first week on my new job. Well I have a lot for you today, for starters how cute is this dress? Its from Lilies and Fillies Boutique and I love it. 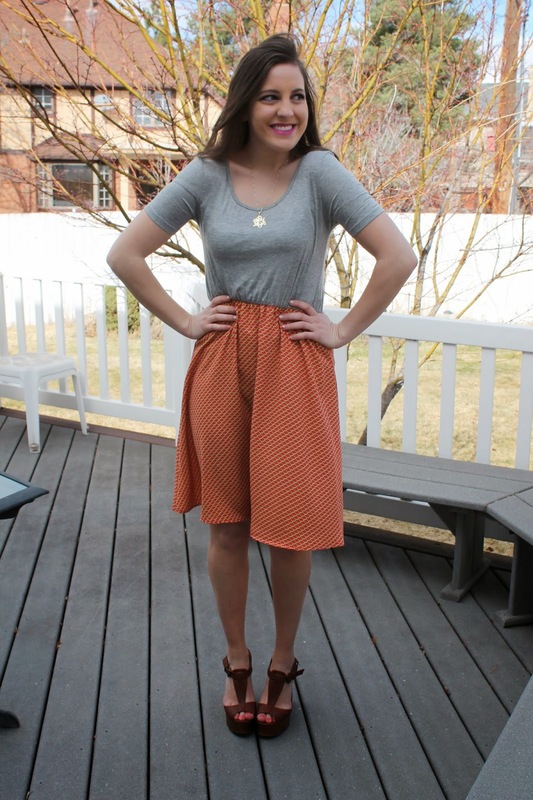 Not only is it super comfortable but its so perfect for Spring. I love the fact that it is a t-shirt dress, basically you are getting comfort and cuteness all in one ensemble! Well Lilies and Fillies is giving away one lucky Blushing Boulevard reader $20 store credit and some pretty adorable earrings that you can see below! So make sure to enter on the Rafflecopter widget below!! But if you just can't wait to see if you won the giveaway to buy something then today is the day to buy something from there because they are having a store wide 20% off sale today with the code TGIF at checkout! So make sure to check them out!! Also don't forget to link up down below!!! :) Have a good weekend!! to co-host the link party with me! Those who link up will also be required to follow the co-hosts. This gives you even more reason to link up! I'm excited to see what you have in store this week! Thanks for linking up!!! Your gorgeous co-hosts! Make sure to check them out and follow them!!!! 3. 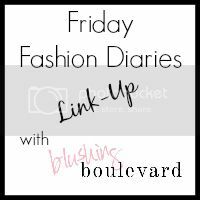 Link Up anything fashion related! Outfit Posts, outfit inspirations, outfit boards! 4. Be sure to check out the other links here and meet some new friends! 5. It is required that you link back to this link up in your post! Use the button or a simple link! wow! you totally look amazing! I love the red and white chevron dress! And I would get the bow back top! heavily into leopard right now, so i'd get the leopard print infinity scarf. thanks! am loving the bow back top! They have such cute things. I would get the black and white checkered tank I think. And their prices are good. To be honest, I would get the dress you've got on in this post! Hi Lily. I have been following your blog for a while though I haven't commented in a long time. I joined your link up for the first time. I also follow you on Bloglovin, Facebook & Pinterest. Would love for you to stop by and also follow me. I would get some Statement Jewelry and the Mint Maxi Dress with my prize. Hope to win. I'd pick their Sheer Ivory Gold Polka Dot Top! They have some ute things! id get some new spring tanks! I would love the Mint & Chevron piece seen below. Such a cute outfit! Thanks for the giveaway! I love the Round crystal statement Necklace! 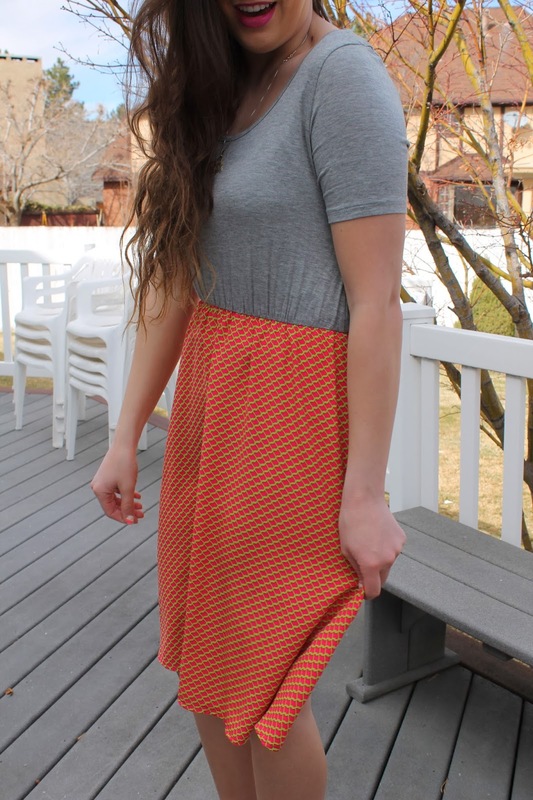 I love the gray and orange together, lovely dress! I'd definitely use the gift card towards the Green Lace Pleat Dress or get the Silver Charm Elephant Necklace!! I love the gold and black anchor earrings and the Pink Print Knit Leggings. I love the mint detail maxi - I've been searching for a summer maxi dress forever! What a cute dress, perfect for spring! I would actually get the dress you are wearing. I love it, it would be great for park days with my son. Easy but so cute. I would get the Jade Diamond Chiffon Top! What a cute dress! I'd get that or maybe the Green Striped Cut Out Back tank!